Estonian Aviation Days 2018 will take place on 9.-10. June 2018. 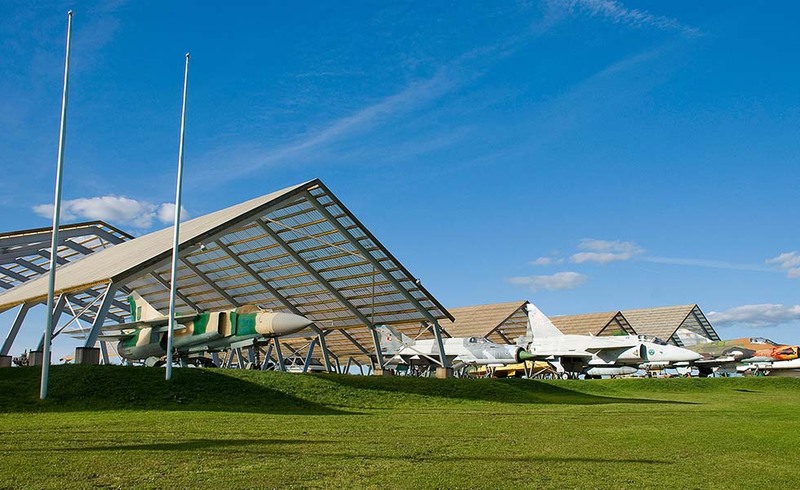 As an innovative technical hobby centre, the Estonian Aviation Museum (EAM) promotes engineering education. Above all, the activities of the EAM are aimed at young people – school and university students, Defence Forces members and young families. The exhibition includes 25 aircraft representing European and US aviation technology, as well as anti-aircraft guns, anti-aircraft cannons and representatives of all the surface-to-air missiles which were located in the territory of Estonia during the Soviet era. The model collection includes more than 400 high-quality aircraft, helicopters and missiles. Visitors can also obtain an adrenaline level high on trampolines, parachute jumps, roller coasters and piloting simulators, as well as on a 20 m trampoline catapult. The traditional annual Estonian Aviation Days have become the largest aviation event in the Baltic region. The Aviation Museum has been holding Aviation Days since 2006 and the programme is diverse – various famous acrobatic flight pilots, Air Force and PBGB Air Crew planes and helicopters, paragliders, moto-deltaplanes, parachutists, flyovers of NATO air defence fighters, presentations of aviation equipment, numerous amusement activities, playrooms and hobby tents.